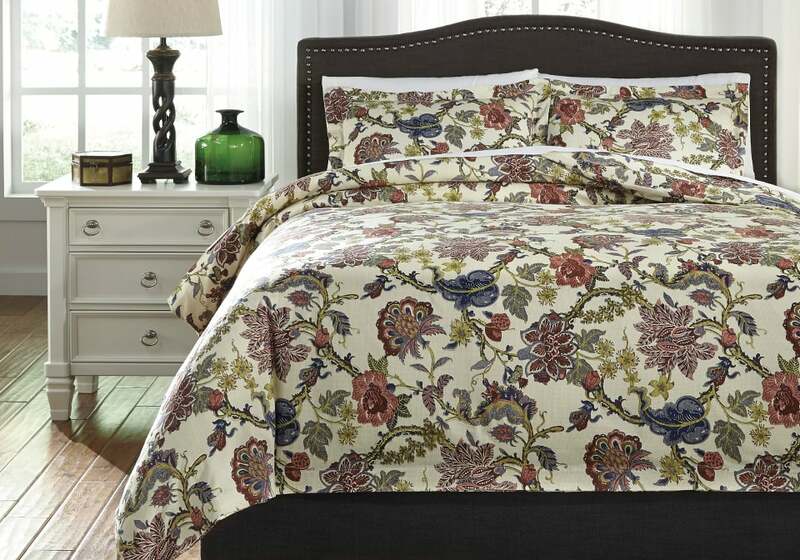 Dameka cover set has a darker jacobean floral design accented by a creamy background. 3-Piece Duvet Cover Set – Includes Duvet Cover (Insert not Included) and 2 Shams. 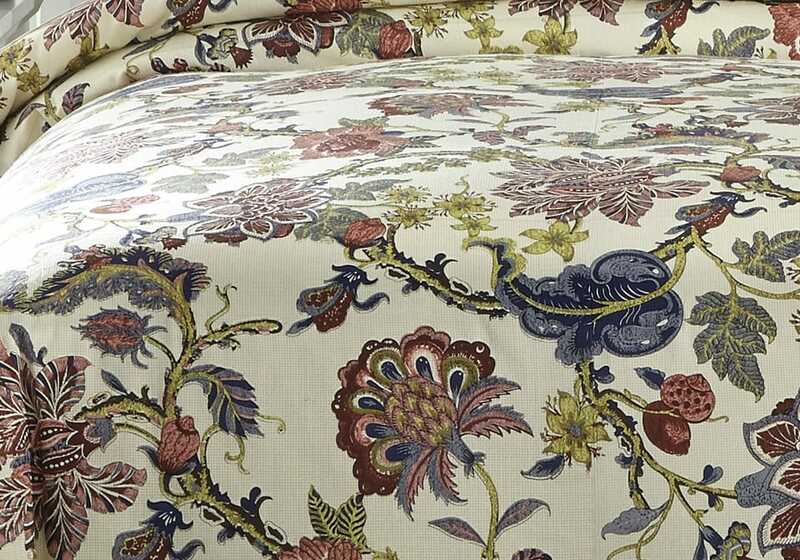 Traditional Jacobean Design in Shades of Ivory, Berry, and Navy. 200 TC. Cotton. Machine Washable.